At Annadel Builders Inc., we believe in design that serves so seamlessly in practicality and comfort that what you want and what you need never have to compromise. 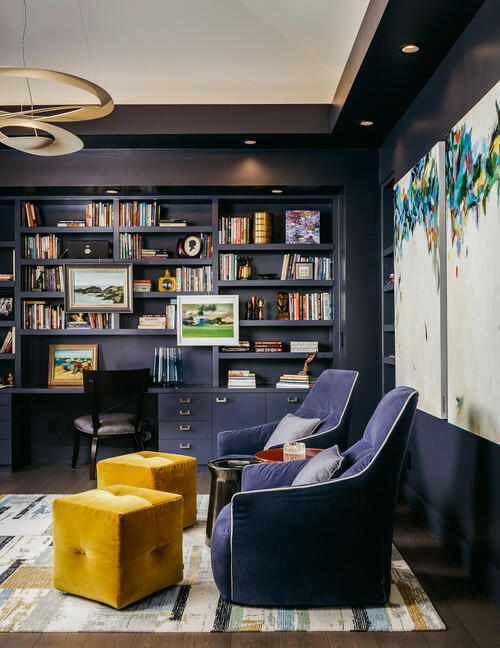 While a home library may need to functionally exist as a storage place for books, there’s no reason for it to not to also exist as a canvas for artistic expression and a comfortable lounge in which to unwind. 1. Built-in seating – Create the perfect book-reading nook by building seating space directly into your shelves. Cozy and inconspicuous, built-in seating provides easy access to reading material and the comfort of bookish surroundings. 2. Artistic touches – Give a real library feel by including several pieces from your favorite artist. Hang on the surrounding walls or directly on the shelves to generate an atmosphere of individuality and interest. 3. Velvet furniture – Nothing speaks comfort like soft velvet pillows on an overstuffed sofa. Adding comfort and elegance to simple spaces, velvet is exactly what you’ll feel like curling up on after pulling a good book off the shelves. 4. 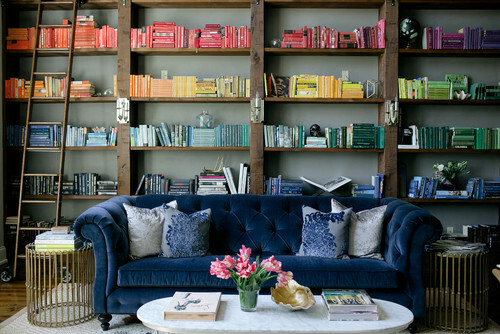 Color coordinated organizing – The books steal the show in this creatively colorful organizing scheme. The light to dark gradient naturally draws eyes upwards and visually expands the space. 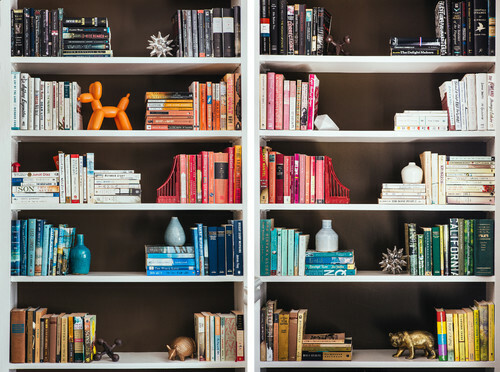 Whether you have the palette of books or you create a custom coordinating dust jacket collection, stack your shelves using a similar pattern, or one of your own design, to add depth and an original twist to a traditional library. 5. Shelf décor – Here’s an opportunity to infuse a little creativity and interest in your decorating scheme. Consider both design tastes and storage needs as you search for the right décor. Try to infuse variety by blending heights and textures, or by mixing and matching different pieces. 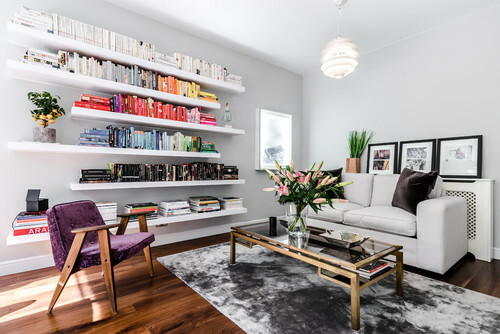 In this way, you’ll create an eclectic elegance that will seem to draw character and life from the books to the shelf. 6. Bright backdrops – Add interest including a bright backdrop to your bookshelves, especially if your book collection consists mainly of muted tones such as brown, grey, or gold. Our Napa home builders love the idea of adding a brilliant blue, maroon, or dark green shelf background to make the book titles pop and create the illusion of depth.